Despite being delicious to snack on, quinoa is actually a really healthy ingredient to pair with your meals - if only that happened more often! 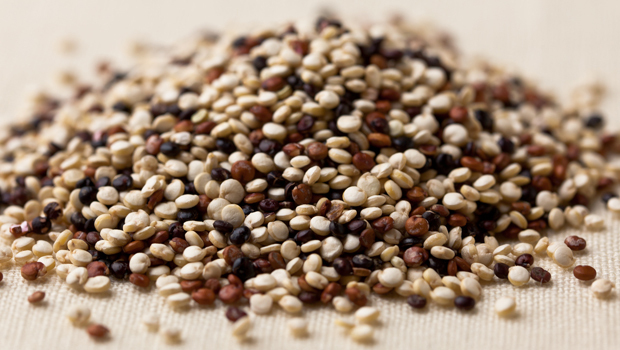 The tiny seed provides all nine essential amino acids, contains twice the fiber and calcium of most grains, and, most importantly, is a fantastic source of protein (which helps build new collagen and elastin). In other words, it’s great for your skin. Photo courtesy of Alterco Foods.